In New York, builders cannot hammer a single nail until they have an approved site safety plan. From the moment a contract is awarded, we work with your construction team to create a total safety plan that ensures your compliance. Once the job is underway, we provide a Certified Site Safety Manager on every job. 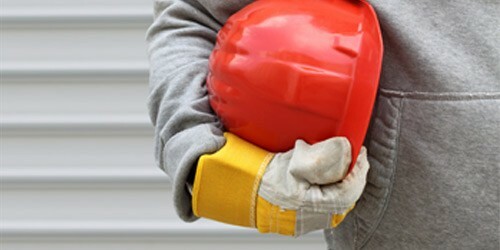 Protect your workers and keep building with Total Safety Consulting, New York’s largest privately owned safety company. Our family of companies supports the construction industry with training courses in the NY/NJ area, safety supplies, and safety consultation in South Florida. As a company, we’ve got you totally covered. Safety Training Courses in the NY Tri-State Area. Over 60 courses offered including Local Law 196 certification and OSHA, NYC DOB and NYFD training. We sell safety supplies as tough as your workers. Shop online for fire extinguishers and safety gear, hand-picked by our staff from top suppliers. Safety Consulting, fabrication and installation of total safety systems for construction projects in South Florida. 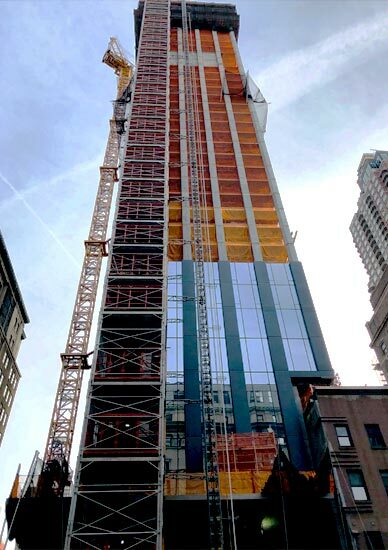 Working on every imaginable type of superstructure in New York, we know how your safety plan has to function in big projects. It’s even more critical in densely populated areas and in in-use buildings. Job safety planning is as vital as the tools and equipment needed for building skyscrapers. The challenges we faced in projects like the Javits Center, Hudson Yards, MTAs bridges and tunnels and demolishing and rebuilding Yankee Stadium required intense planning to ensure the protection of the workers and the public. As a construction safety consultant, we work with your construction team the instant you win your bid. We design detailed safety plans and logistics to get you the permits you need to break ground. We coordinate your safety and construction plans so when the crane arrives, everyone knows where it goes. Our team of licensed professionals and support staff specialize as technical consultants and trainers with competency in scaffolding, hoisting and rigging, cranes, environmental issues, fall protection, concrete, public, fire and life safety services. We are the link between OSHA, the cities we service and our builders. Regulations are constantly changing. We are diligent in staying current and keeping our clients informed. Training Centers in LI City, Manhattan and New Jersey: We are safety training consultants and have trained hundreds of thousands of construction workers and Site Safety Managers to get certified. We offer 50+ courses in multiple languages. Safety supplies: Shop online from a full range of safety supplies. 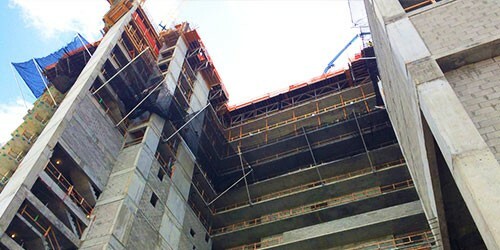 TSC Southeast: Consulting and fabrication of the total safety structure in South Florida. Our clients protect their balance sheets through reduced accidents. This lowers the cost of construction and creates a safer, more productive work environment. Planning a new project? Have a question about compliance? Talk to a Total Safety Consulting expert today.